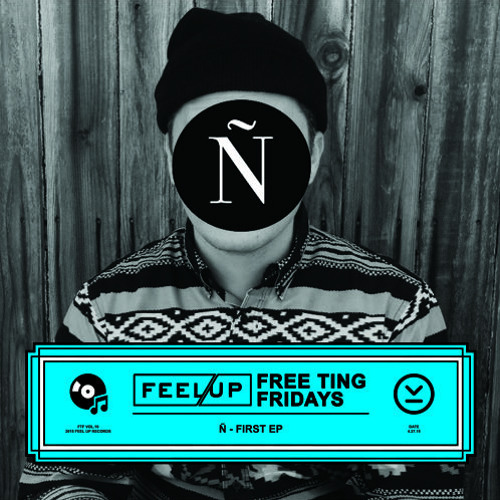 Feel Up Presents Free Tings Friday Ñ is a crack, peep it. Ñ is the contemporary dance music outfit of LA-based producer, Arturo Magaña. Magaña, originally from Guadalajara (Mexico), moved to L.A. in 2004 and began producing hip-hop and electronic dance music as AAART. Collaborations with L.A. artists such as VerBS, Michael Nhat, BIZZART & Bonding Tape’s William Rosario (aka Asymmetrical Head), quickly established Magaña as a prominent producer with a wide range in musical styles. In 2007, Magaña teams up with L.A. artist Monique Contreras to form Icy Lytes, under which the stage name “BEEX” is born. Icy Lytes received critical acclaim with their debut single “Humid Extent” posted by Franki Chan on his IHEARTCOMIX blog, for the masses to hear. The Lytes quickly became a household name in the L.A. after-hours scene bolstered by hi-energy live performances and DJ sets by Beex. The Lytes then expanded to national and international stages thanks to many features in world renowned blogs, including a post by Jillionaire on the Mad Decent blog. With Icy Lytes, Beex would produce and release hip-hop, juke, trap, dance & indie rap jams for the next 7 years, in addition to remixing artists such as HOTTUB, Kid Infinity, Purple Crush and Shunda K. At the start of 2015, Magaña gets ready to launch his anticipated solo project as Ñ. Ñ (pronounced enye) is a focused approach to contemporary dance music. Acknowledging the past in elements, summoning the future in composition, Ñ takes root at a time where one must fight feverishly, creatively and methodically in order to thrive. Essence in change, and bold in spirit, the original compositions will invigorate your mind with off-beat rhythms on seemingly familiar moods. Wide pallets in color and sound touch deep while that damned beat gives you something you didn't know you needed.